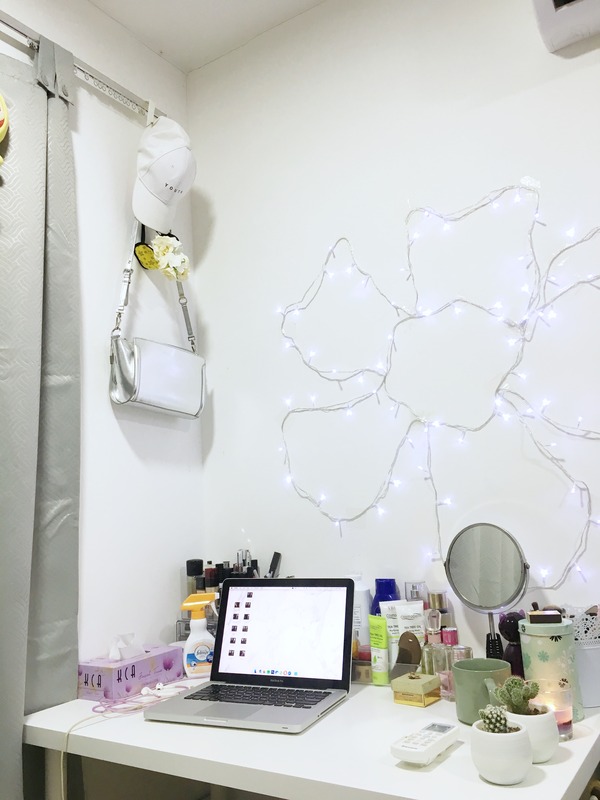 I know that I have 7 weeks left of studies before I need to pack up my stuff and go back to my parents’ house but I can’t deny that I am loving my newest and favourite nook in my room at campus. 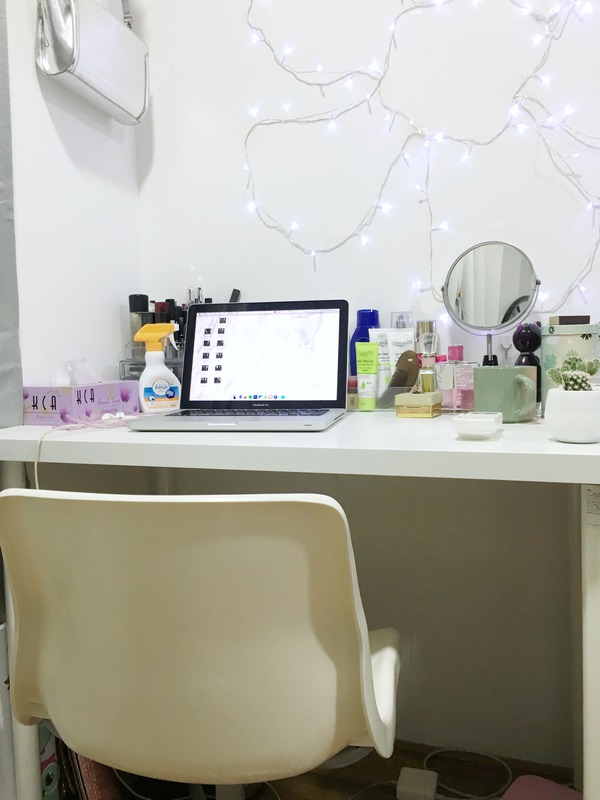 The urge to buy a desk and chair duo came when I realised I have a research thesis that will need me to spend so much time on my laptop but believe me, until now the most I spent my time on is on dramas and YouTube videos. I feel bad. I tried finding other places that might sell cheaper desk and chair but IKEA has the best price and the design that I wanted. So a couple of weeks ago, my boyfriend and I went to IKEA Cheras and purchased them. I already surveyed them online and they are both within my budget. The desk that I got is LINNMON / ADILS for RM99 and the chair is SNILE for RM79. Perfect! The desk is 100 cm x 60 cm so it’s not that huge to begin with. I must say that I’m pretty obsessed with my new workspace. I am hooked on my desk the minute I arrive home and if I could sleep on it, I really would! My cactus plants and IKEA candle made up the whole look of my workspace. To be fair, I don’t have the nicest desk accessories so adding some plants and candle really spice up my desk although they’re very inexpensive but hey, anything white is perfect, don’t you think?